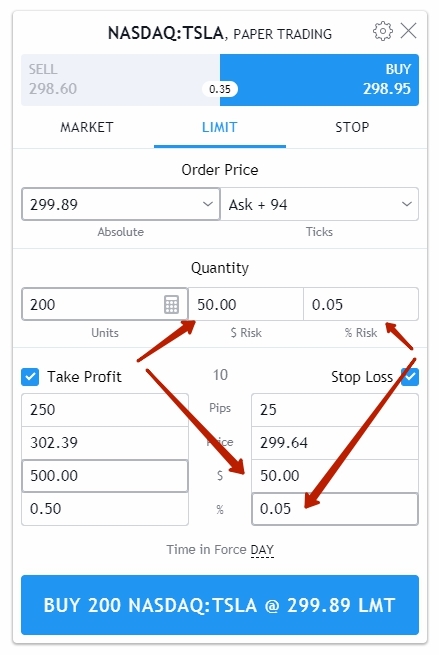 We have added two additional fields to the Take Profit / Stop Loss section. You can now set the desired profit level in the account currency or as a percentage of the account balance. You can also do the same with the risk. 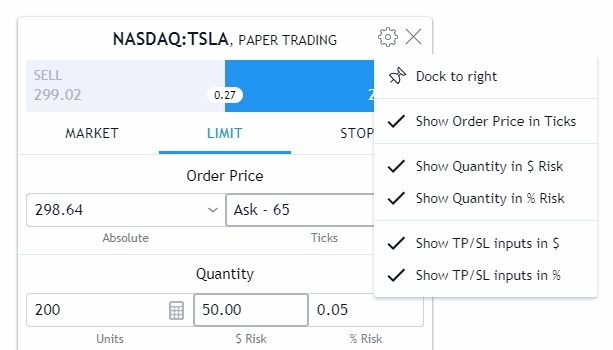 For example, if you want to set a Take Profit order at such a level that your profit is $100, then you just need to enter $100 in the profit box so that the order price is automatically calculated. 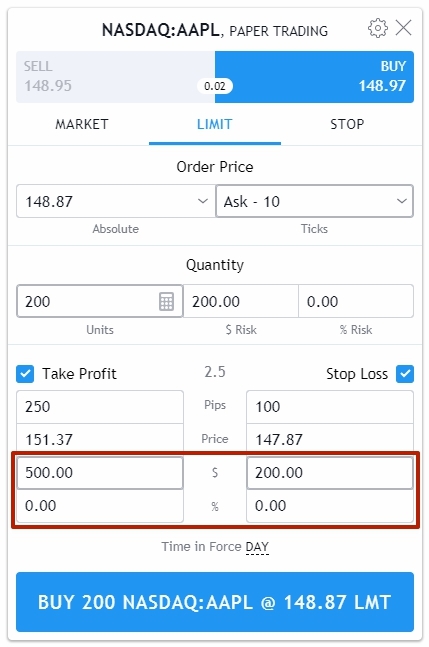 You may notice that the $ Risk, % Risk fields are duplicated in Quantity and Stop Loss. 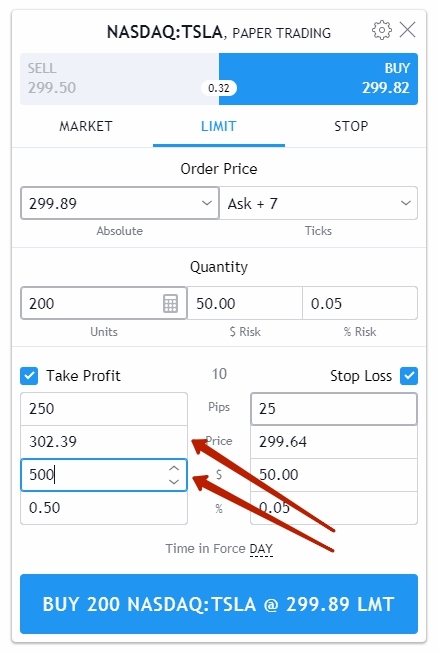 Using these fields, you can specify the risk for automatic calculation of the amount, or for automatic calculation of the Stop Loss level of the order. 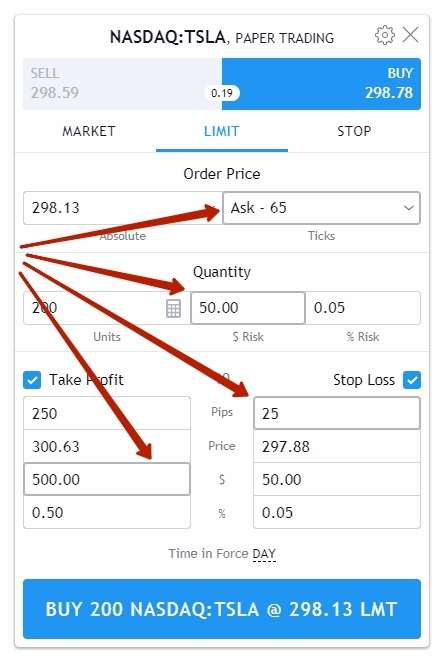 You cannot automatically calculate both the Quantity and Stop Loss level at the same time. Also, always pay attention to the main field in each section. It is marked by a gray bold frame. You set the value in this field manually. This value is fixed and does not change automatically. The remaining fields in each section are recalculated when the main field changes. For your convenience, we also added customization of the panel/dialog order fields in the settings menu in the upper right corner of the panel/dialog. You can select the fields you need and disable the rest. Leave your feedback concerning the updates to the order window through the special link at the bottom.